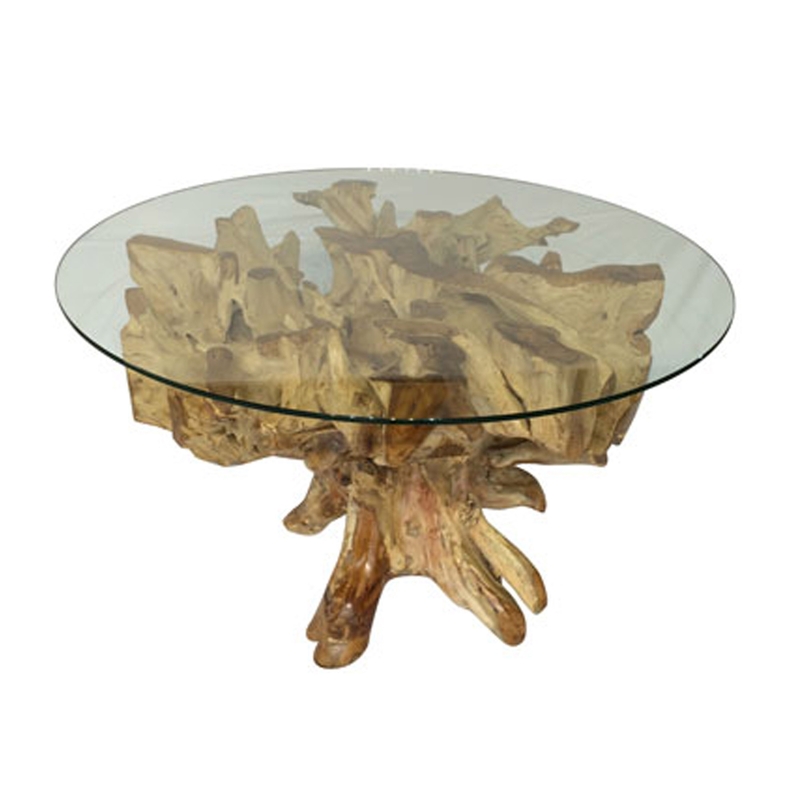 Add a contemporary style to your home by introducing this gorgeous Teak Root Spider Stone Round Glass Dining Table. This piece has a very unique design that features a "spider stone" base, created from a wonderful combination of teak root and glass. This base then holds a stunning round glass surface which enhances the modern style.